Camaro Pool Table | 1969 Z28, SS, & RS Trims Available! 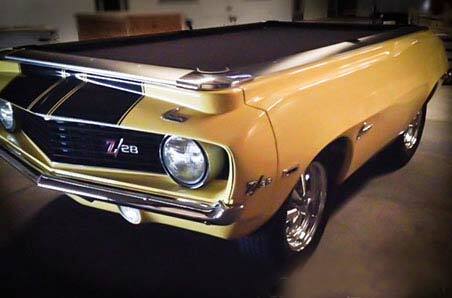 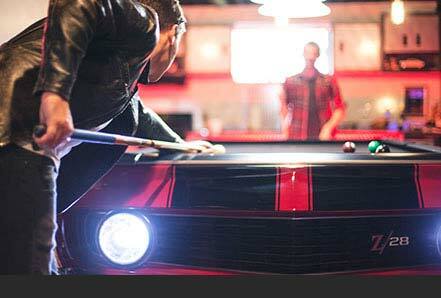 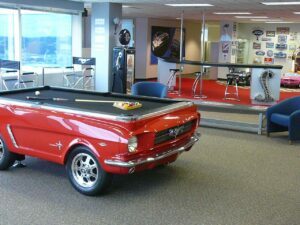 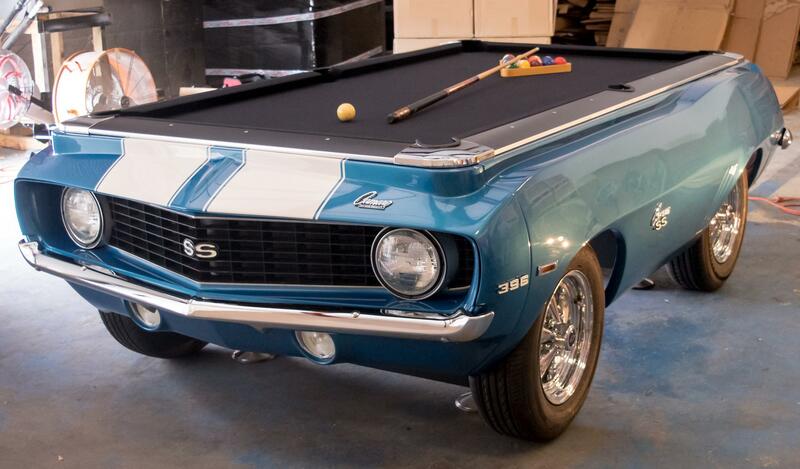 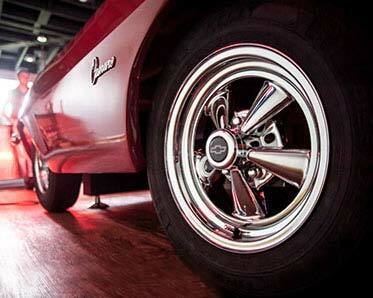 This 1969 Camaro pool table is available in SS, Z28, and RS trim packages! 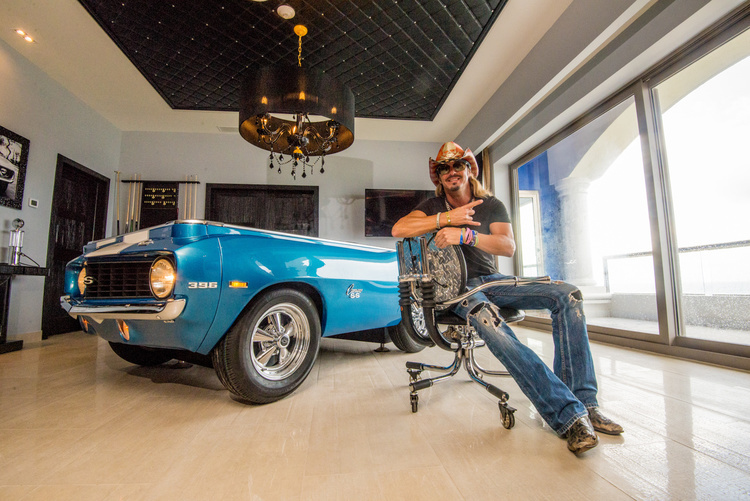 Entirely made in the USA, your new Camaro table is built complete with working lights (with remote), real chrome and stainless bumpers, trim, & hardware, real steel rims and tires, and a professional 4′ x 8′ slate playing top. 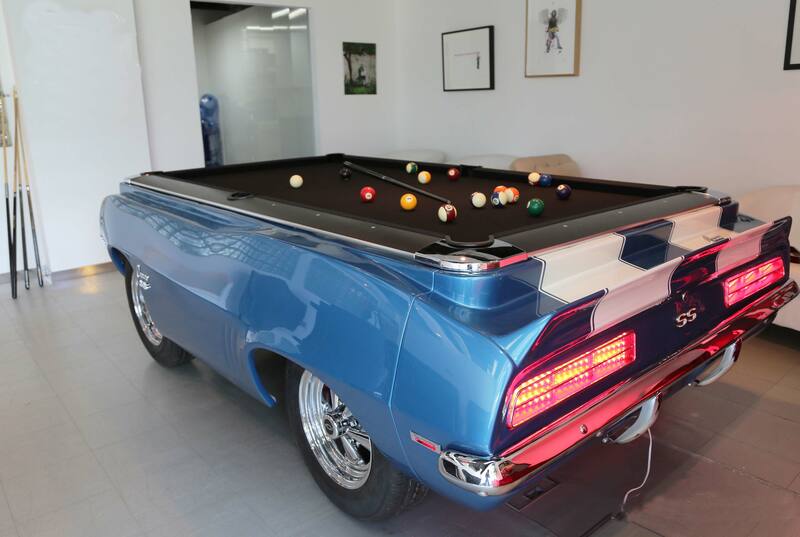 Every inch of this table is beautifully finished in an actual body shop and painted, clear-coated, wet-sanded, and polished by hand. 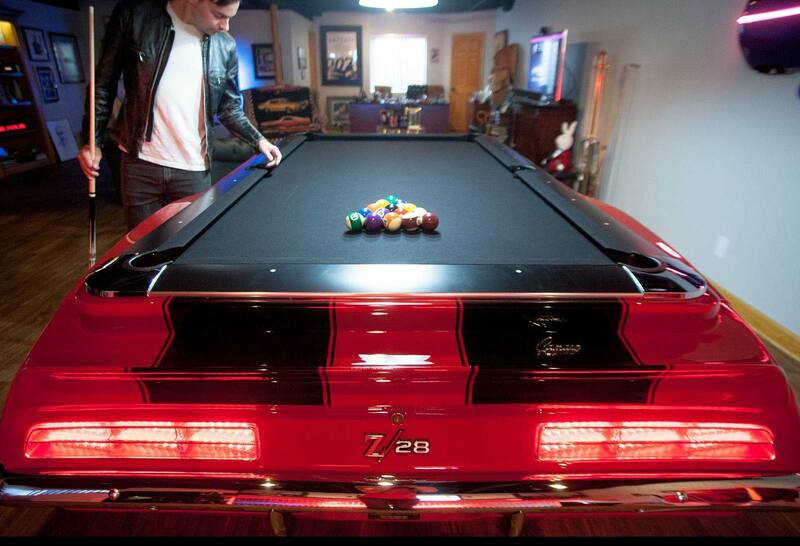 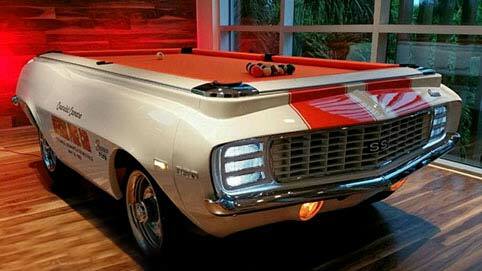 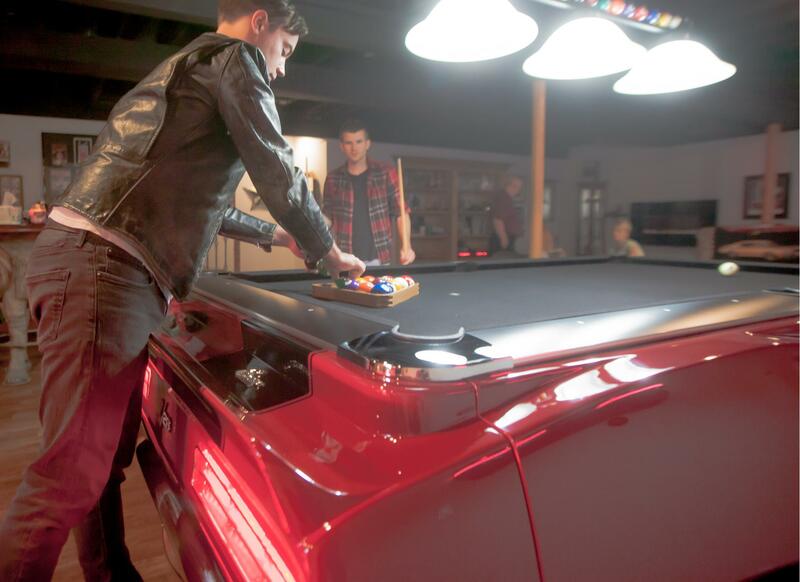 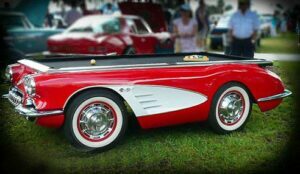 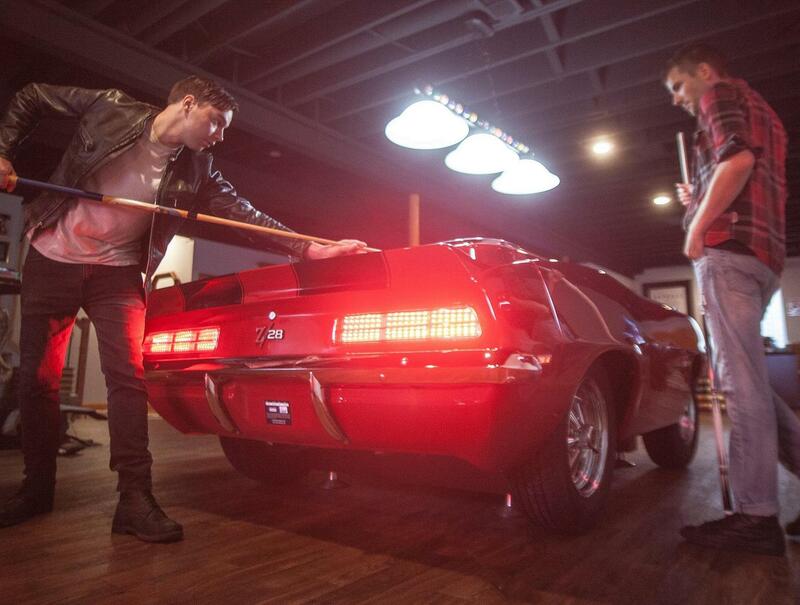 These are the ONLY Camaro pool tables officially licensed by Chevrolet and GM and come complete with its own “VIN” number (Serial Number) and “Title” (Certificate of Authenticity). 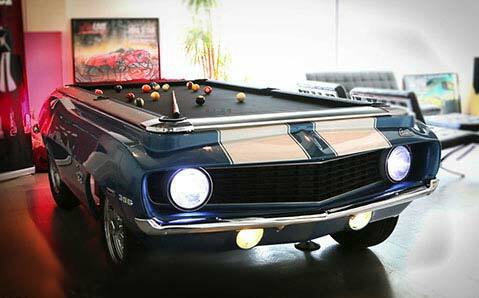 Your new Chevy Pool Table is custom made when ordered, shipped to you, and assembled in your home or business by one of our professional billiards table installer.